Cuts, scrapes, rashes and skin irritations should never stop you during combat sports and training sessions! The Shield is here to prevent just that! Our Revgear rash guards are comprised of abrasion free material that guards your skin and repels moisture to keep your workouts comfortable during grappling, bag-work and sparring, allowing you to perform at your best. 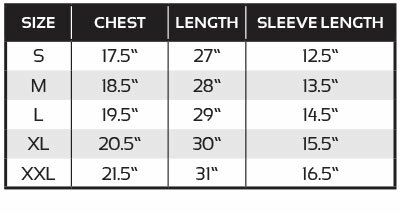 Specifically designed with a long torso cut and anatomic fight fit that molds to your body type, we have tested The Shield with coaches, UFC fighters and practitioners under strenuous training to ensure a comfortable experience. Our rash guards made with Hydro wicking technology will keep you dry longer. The super-stretch material features 4x4 nylon flat stitched seams so you maintain full range of movement. The high-tech compression material promotes blood flow and recovery time which is vital to athletes. Whether you are wrestling, training MMA, or boxing, The Shield will perform every step of the way. Available in red, black and blue, short and long sleeved, The Shield is designed with fully sublimated graphics that will not crack, peel or irritate your skin. If you have any questions, please call our experts at 800-767-8288 or message us online. Order your rash guard from Revgear today or check out our other products!